Brothers, Cameron and Blake haven’t had what one would describe as a conventional upbringing. Instead they have had to survive each day amongst a mountain full of ravenous vampires. With their father being head of the mountains, this may be the only reason they have survived this long. Their mother was a human brought back as a feast for the committee of vampires. 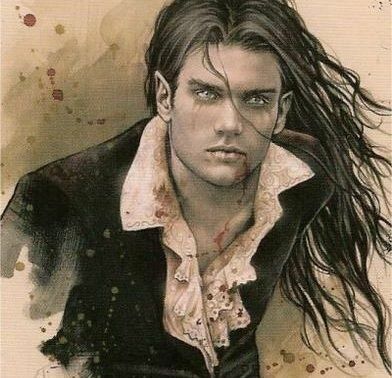 Lucius (Cameron and Blakes father and head of the mountains) saw such beauty in her he couldn’t possibly bring himself or any other vampire for that matter to harm her. This showed weakness on his behalf, thus the committee began overruling his decisions with Lucius’s role as leader crumbling by the day. Hunter, by far the most malicious vampire to walk the mountains, devises a cunning plan which involves the death of Cameron and Blake, and what better way to do it than to use the 3000 year tradition to his advantage. As tradition follows, Hunter leaves the mountains every fortnight and brings back a human for the committee to feast on. If there was some way he could get Cameron and Blake on the menu rather than a human and turn the mountains against Lucius, the throne is his for the taking. Hunter, for the first time since he began, fails to bring back a human. All goes to plan as the committee agree that the only way around it is to put the young boys, Cameron and Blake on the menu. Lucius, obviously very protective over his sons, won’t let harm come their way so easy. He decides to put his own life at huge risk and tells Cameron and Blake to escape from the mountains otherwise be eaten. At this point he also takes the opportunity to tell them the truth about their mother which he kept from them until this day. Lucius explains that their mother was a human whom Hunter brought back for the luxury feast, however Lucius fell in love with her the moment their eyes met and couldn’t bring himself or the committee members to harm her. Therefore making Cameron and Blake “HALFBLOODS”. Ultimately explaining the reason they are so different to the rest of the vampires (hazel eyes, reflection, eat normal foods, laid back etc). At this moment the committee saw Lucius as a weakness and began overruling his decisions. Three weeks after Blake was born, the committee decided to put her on the menu and there was nothing Lucius could do to stop them. Cameron and Blake have no say as leaving the mountains is their only chance of survival, therefore taking it. They pack their things and escape to a world they’ve never before established. Fresh air in their lungs is a whole new experience to them. As they escape, Hunter catches their scent and realises what’s happened. Therefore arising the perfect opportunity to allow him to confront Lucius in front of a ballroom full of vampires for his betrayal. Again, the plan turns out perfect as the vampires turn on Lucius, killing him. Hunter is now leader of the mountains. Nevertheless, he still is not content. Cameron and Blake manage to get far away from the mountains and sneak into the back of a parked pickup truck which takes them to New York City. Their jaws drop as they encounter this whole new world of bright lights and scenery. They enter a nearby nightclub “BARRACUDA” where all of the women are mesmerised by these alluring males. Cameron and Blake aren’t the type to go out looking for trouble, but it always seems to find them. Tonight is no different. Cameron and Blake get into a fight with two of the toughest men in New York. With Cameron and Blake having supernatural speed and strength, they make easy work of the brawlers. However what they didn’t know was that the men they fought were the nightclub owner’s body guards. The nightclub owner goes by the name of Lusko. We later realise that there is a large fighting arena adjoining the rear of the nightclub where Lusko arranges and watches over fights. With him seeing Cameron and Blake’s overwhelming fighting ability he is extremely keen to enter them into his tournament. Meanwhile Hunter discusses with the committee how he plans to track down and kill Cameron and Blake on his next traditional hunting day (two weeks time). Cameron and Blake walk back into the “BARRACUDA” the following day, however this time to be met by seven of Lusko’s hard men. Not looking for a fight, the brawlers simply tell Cameron and Blake that Lusko wants a word. Avoiding more conflict they agree to meet him. Lusko takes them down a corridor at the back of the nightclub where he swings open two big double doors, revealing a huge fighting arena with a UFC octagon to its centre. We see two men fighting to give us a taste of its brutality. Even though Cameron and Blake have had to fight every day to survive the harshness of the mountains, fighting without cause doesn’t seem to interest them. Not even after Lusko explains that the winner will take home a staggering $50,000. Cameron looks up to a balcony and acknowledges the most beautiful female to grace his eyes, watching over the fight (Summer). He then realises the best way to win her heart would be to fight in the tournament. He takes the opportunity and agrees to fight, as does Blake. Things begin to progress nicely as Cameron and Blake comfortably make their way through the stages of the tournament and Cameron and Summer fall deeper and deeper in love. Nevertheless, happiness can only last so long. The day has come for Hunter to leave the mountains and track the young boys down. He visits places they have been, carrying a photo of them. He gets closer and closer until he breathes the same air as them. Cameron and Blake attempt to derail Hunter but it only spares them a few minutes. Hunter captures Summer and tells her the only way she will survive is if Cameron agrees to fight him. Also hunter coming on the scene reveals Cameron’s true identity to Summer. Please note that this story has a Film Script layout. It is 116 pages that will captivate you from start to finish.